Doctors in Australia have reported an extreme case of constipation where two liters of faeces were found compacted in a patient’s intestines. 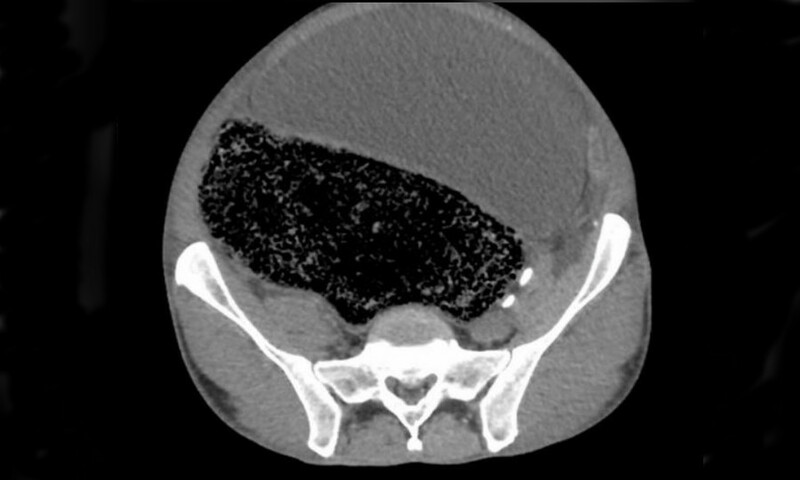 The severe blockage had even caused paralysis in the man’s right leg. The 57-year-old patient was rushed to the emergency room in Victoria, Australia, where medical staff made the startling discovery. Left untreated the condition is almost certain to result in death. The bizarre case is reported in the British Medical Journal and reveals that the man suffered from acute limb ischaemia – blood flow restriction to his right leg – as a result of the massive storage of excrement. The unidentified patient had been experiencing bouts of abdominal pain, nausea and lack of movement in his leg before seeking urgent medical help. 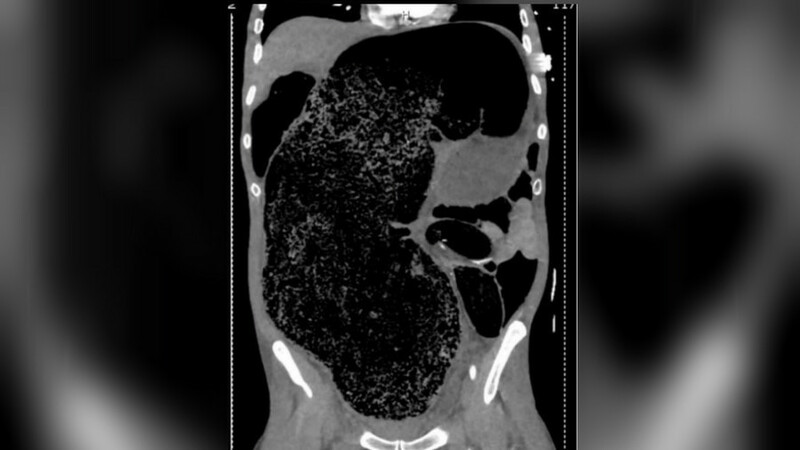 CT scans revealed massive faecal loading within the patient’s obstructed intestines. Images obtained by RT.com reveal the extent of the patient’s constipation. The man was then rushed to theater where surgeons manually removed two liters of faeces while the patient was under general anaesthesia. Strangely, medical experts have been unable to settle on a cause for the unusual faecal loading, with the man having no significant medical history and denying having used cigarettes or illicit drugs. After four days of treatment he was discharged from intensive care and he eventually regained full use of his leg, the medical report concluded.